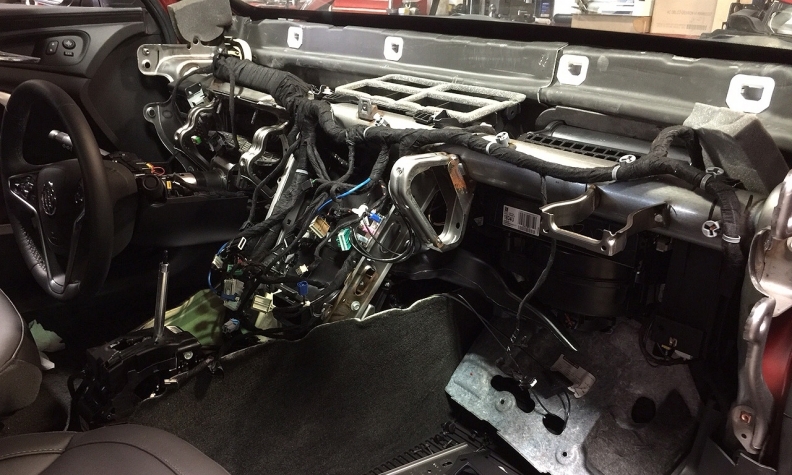 A 2015 Buick Regal at Bob Brown Buick-GMC near Des Moines, Iowa, undergoes a climate control system repair. Aaron Logan has sold F&I products for 17 years, yet in the past six weeks his extended service contract penetration rate is nearly twice that of the year-earlier period. He credits the boost to his “religious” use of visual aids. 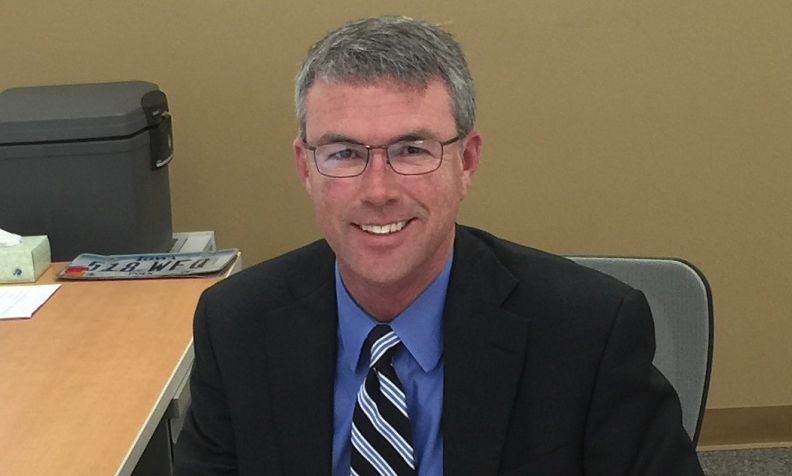 Logan had sporadically used photos over the years to illustrate why a customer should consider buying F&I products such as extended service contracts and tire-and-wheel policies. But he made it a consistent habit only recently, he said. Bob Brown Buick-GMC sells about 1,900 new and used vehicles a year. Logan is a finance manager for the Buick business. The specific kinds of photos Logan wants are those that illustrate the engineering and technical complexity of Buick vehicles. So when Logan walks through the dealership each morning, he pays close attention to what’s happening in the service department. “You say good morning to people, and if you happen to notice something out in the shop, snap a picture of it,” Logan advises F&I managers. It’s especially important to take a photo if a complicated electrical repair is underway. That’s what he did when he spotted a 2015 Buick Regal recently in the service shop with its dash and center console uncovered. Technicians were repairing the sedan’s climate control system. The photo reveals the complex electronics under the car’s skin. It was a visual aid Logan knew would resonate with customers when he pitched extended service contracts. Logan: Service lane photos of repairs can help seal the deal on F&I products. Logan brings out the photos only when customers decline to buy an extended service contract from the menu presentation. Logan wants to raise customers’ awareness that electrical complications could arise after the manufacturer’s 4-year/50,000-mile warranty expires. So besides showing customers photos of vehicle electronics, he also shares his own experiences. For example, after he backed his own 2014 Buick LaCrosse out of his driveway recently, the backup camera wouldn’t turn off completely when he shifted the car into drive. He had to pull over, turn the car off and then restart it to reset the computer. “I use that as an example of some of the goofy things that can happen with the electronics,” Logan said.